Elinor Donahue Bio, Spouse, Net Worth, Why Did She Leave Andy Griffith Show? Talented American actress Elinor Donahue did not wait to be discovered before following her passion. Although she got her breakthrough with the 50s hit series Father Knows Best, Donahue has won lots of recognition and accolades in the course of her career. She has also got an amazing success story worth hearing for anyone aspiring to make it in the industry. Here are interesting facts about the legendary actress. Elinor was born on the 19th of April 1937, in Tacoma, Washington to Genevieve (mom) and Thomas William Donahue (father). As a child, she was always elated by art and entertainment. Before she clocked 5, Elinor was already performing on radio and soon became a dancer for the Universal Studios. She learned the art of ballet dance when she attended Long’s Private School. Working with Universal Studios from a young age, Elinor Donahue soon went into acting. As a child actress, she made appearances in several movies including Three Daring Daughters, Love is Better Than Ever, Girls Town, and many others. Elinor continued with small roles until she landed a role on the popular series, Father Knows Best. She played the role of ‘Betty’ the elder daughter in the series. Donahue rose to popularity through her remarkable performance on the show and was getting more notable roles. Other productions she appeared in at the time are The Ray Bolger Show, Crossroads, USMarshal, and many others. For her role in Father Knows Best, Donahue got an Emmy Award nomination for ‘Best Supporting Actress (Continuing Character) in a Comedy Series’ in 1959. More and more series and movies came in the 80s and Donahue did not hesitate to take up the challenge. One of such series is Fox’s The New Adventures of Beans Baxter where she played the lead character. For Donahue, the early 90s was mostly about the sitcom Get a Life which aired on Fox. The legendary actress released a memoir in 1998 and it was titled ‘In the Kitchen with Elinor Donahue’. It was indeed an interesting journey for Donahue who is no longer regular on-screen. One of her last appearances was on The Young and the Restless in 2010. Why Did She Leave Andy Griffith Show? Elinor Donahue rose to become a household name after her breakthrough in the 50s. This fame of hers followed her to the 60s when she landed several other notable roles on TV. One of them was in her role as Ellie Walker in The Andy Griffith Show which aired on CBS. On the show, she was the girlfriend of Andy Taylor the lead character on the show played by Andy Samuel Griffith. As expected, the actress was remarkable. Producers also had the motive of making waves with her fame and included her in their mentions during the opening credits. Of course, who wouldn’t want to associate with Father Knows Best’s Elinor Donahue at the time? However, after concluding the first season of the show, Elinor opted out. She asked to be relieved from the 3-year contract she had already signed with the producers. She left the show exactly after twelve appearances in the first season. Following massive questions that followed her decision, the actress decided to speak up. Her explanation was that there was no chemistry between Griffith and herself, which was a huge challenge as they could not pull off a great on-screen romantic relationship. She changed this explanation later on to another saying she had some personal problems which affected her portrayal of Ellie Walker on the show. But regardless of her abrupt exit, Donahue went on to win the TV Land Legend Award alongside other casts of the Andy Griffith Show; including Andy Griffith, Don Knotts and Jim Nabors in 2004. 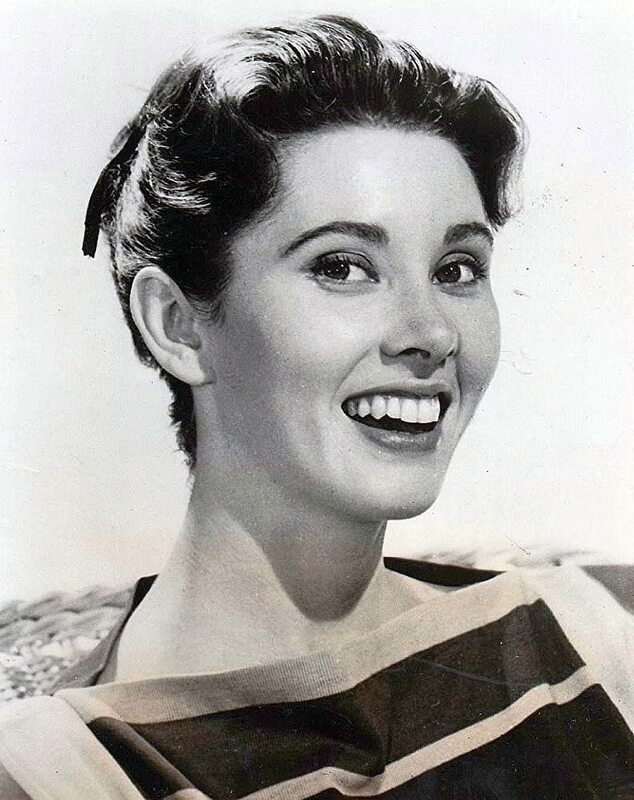 During her active days, Elinor Donahue earned from her various stints on TV and film as well as endorsement deals. Her actual net worth at the time has not been ascertained but the iconic actress is said to have about $3 million as her estimated net worth in present day. All through her life, Elinor Donahue has been married three times. Not all her marriages ended in divorce; in fact, the actress has got an exceptional love story. Donahue was married first to Richard Smith in 1955. Their marriage lasted for six years before hitting the rocks in 1961. Donahue then moved on with Harry Ackerman, a TV producer the following year. After their wedding in 1962, the couple had four sons together namely Brian, Peter, James, and Chris. Elinor was also the stepmother to Harry’s two children, Stephen and Susan, whom he had with another woman. Although Donahue’s swift hook up with Harry Ackerman raised eyebrows, it was clear to all that her first marriage did not just work out. The Father Knows Best star stayed married to Ackerman from 1962 to 1991 when death took him away from her. The following year she got married the third time to Lou Genevrino. The couple has been married since 1992.